As your chiropractic team, we want to see you heal so you can get back to doing the things you love. Unfortunately, car accidents can cause pain and discomfort that get in your way. During a car accident, your muscles, bones and joints are damaged from the impact. It’s important to ensure both your soft tissues, bones and joints are aligned so your body can heal and repair. Pain Relief. Our number-one goal is to get you out of pain. We’ll start with gentle chiropractic care and massage therapy and ease into more in-depth care as your body heals. Rehabilitation. After that, we’ll help you focus on rehabilitation through active stretching and exercises you can do at home. When appropriate, we offer in-office rehabilitative services to help you further your healing. When you visit, please bring your claim number, claim adjuster’s name, address and phone number and any other information you have regarding your claim. Our staff will verify your information and ensure everything is set up correctly. 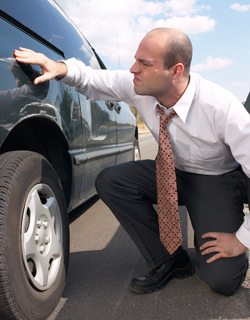 In most cases, your insurance company pays on your behalf and is then reimbursed by the at-fault insurance company. If you’re at fault, your insurance company will still pay for the care you need on your behalf. Typically, there are no deductibles or out-of-pocket expenses and no referrals are necessary to visit us. Dr. Lanning would be happy to help you discover relief and manage your claim. Our staff is here to be a trusted resource for you through this time. We’ll do all that we can to help.